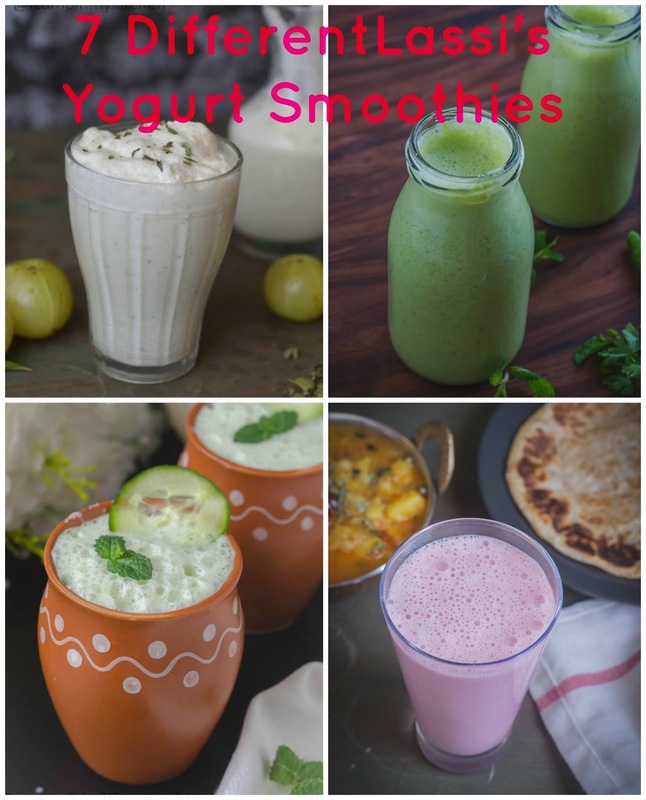 Lassi's are smoothies made from yogurt/curd and famous all over India Sub-continent. Lassi's are not only easy to make, they are so versatile, you can make lassi, almost with all fruits and some veggies and herbs too, which adds a great flavor to this humble drink. 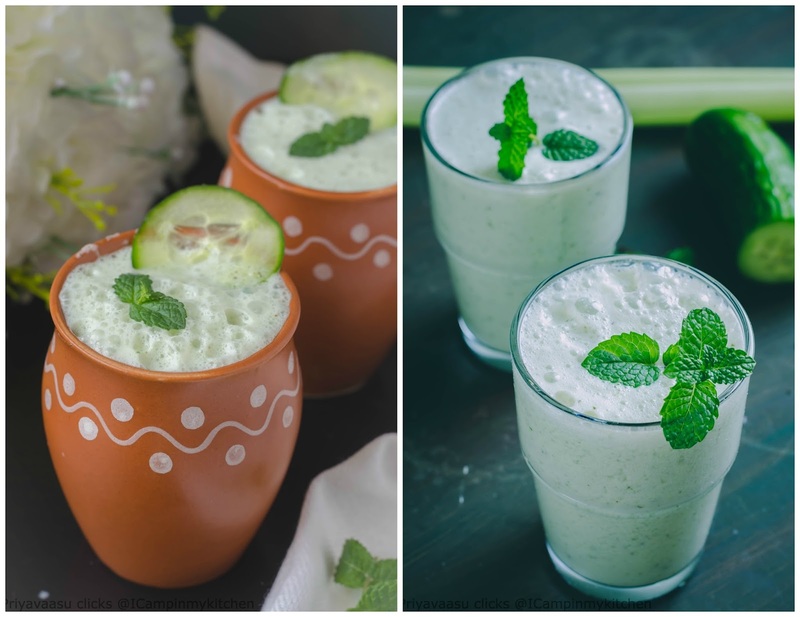 There are two varieties, sweet and savory lassi, most of them prefer sweet, but there are some crazy people like me who love salted lassi too! With mercury rising in many part of the world, many of us reach out for chilled drinks during mid-mornings, or even during lunch. 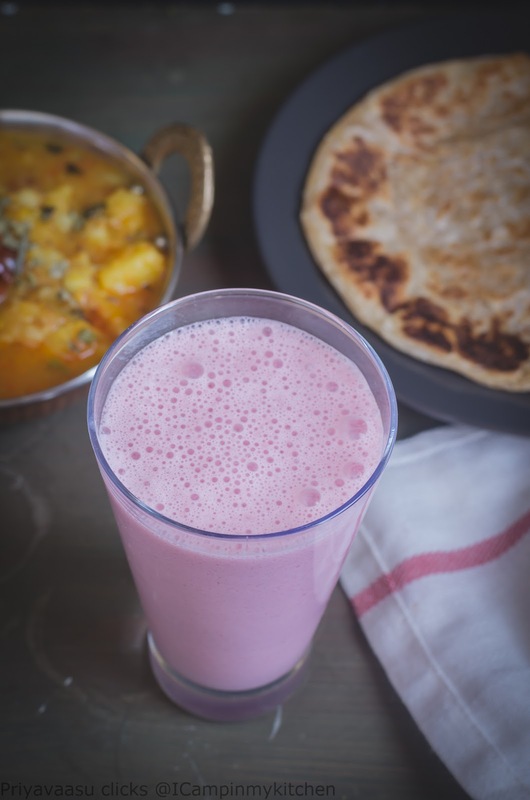 My favorite drink is lassi, it is easy to whip up and i make it different everyday. Here is a list of 7 different lassi's from my kitchen, which i make often, you can try one every day and not get bored of this delicious drink. I absolutely loved smoothies...especially in the warmer weather. Love the yogurt in these and this is such a great collection. That certainly is a great collection. I have never tasted a lassie. I make smoothies all the time...so I need to look into making a couple of these for sure. Mesmerized with all the different flavors! I have tried only mango lassi I bet the other flavors must be amazing. What a great variety of smoothies! I would really like to try some of the savory ones. In the summer I try to stay away from sugary tastes -- they make me thirstier. Your lassis would be great!! 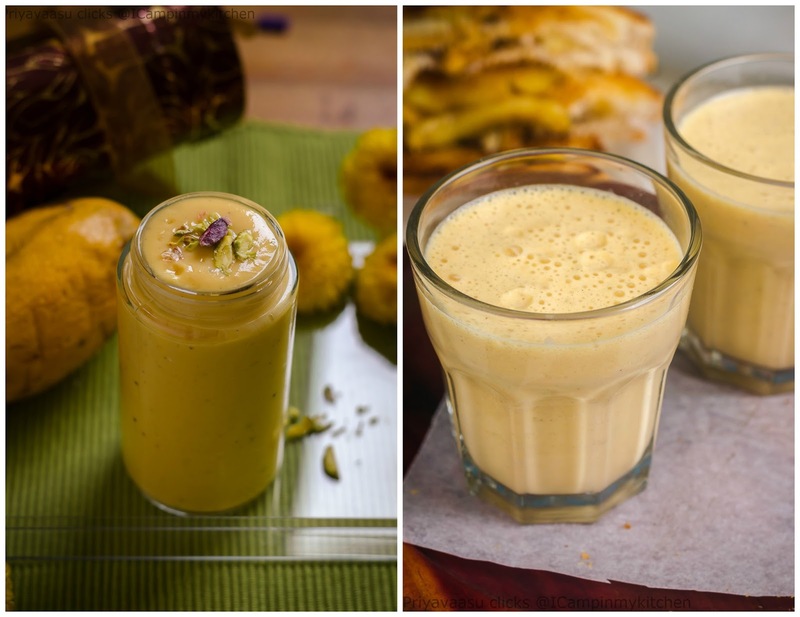 I love lassi but I must confess I've only made 2 - one mango version (naturally!) and one pumpkin! 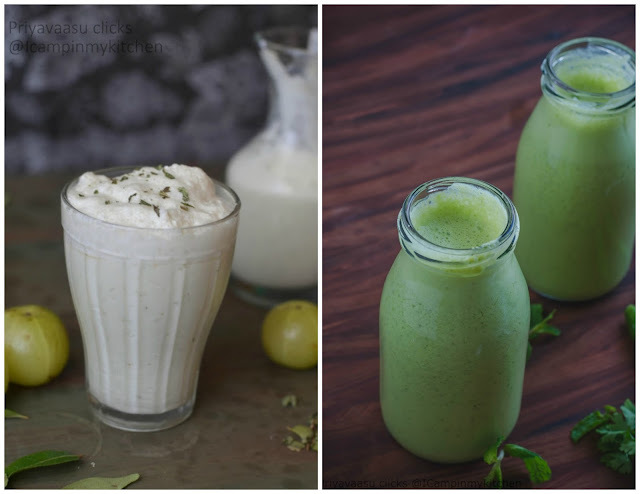 After seeing your yummy collection I feel inspired to make lassi again! I will definitely be needing this list as I will be in India during summer. I will definitely be needing something to cool myself and the boys. Love the sweet and the savory versions Priya! Nice collection, I haven't tried cucumber and beet lassi. I will give it a try soon. What a lovely selection of drinks! I am going to have to try them all. They're so yummy looking!